Hokkaido is Japan’s final frontier; a vast wilderness where flora and fauna dominate the human population. 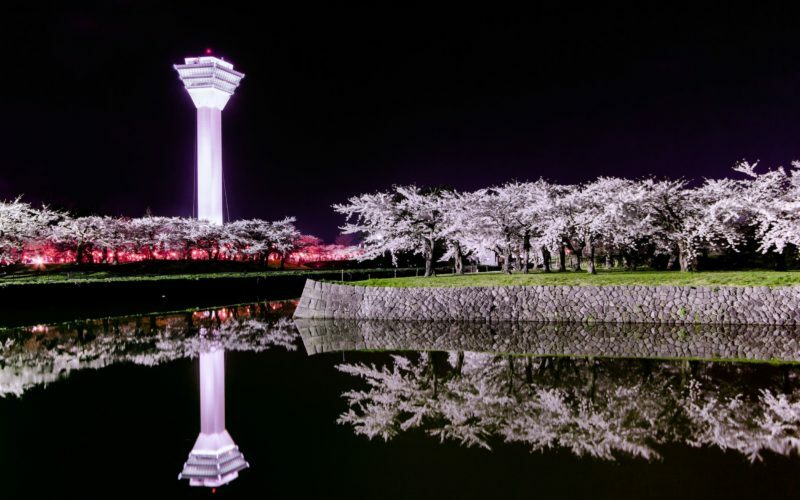 But for visitors who fly into shiny, convenience-laden New Chitose Airport and spend all their time in the capital of Sapporo, a neatly organized metropolis that’s one of the largest cities in Japan, this image will seem downright baffling. 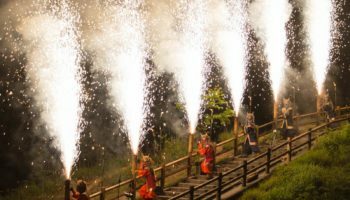 To understand the soul of Hokkaido, leave civilization behind for Daisetsuzan: a national park known to the Ainu as “Kamuimintara”, the playground of the gods. Photo by: Joyce Wan Daisetsuzan is known to the native Ainu people as the playground of the gods. Daisetsuzan National Park is the largest park in the country, with a total area of 2,267 km sq. – that’s bigger than Tokyo and Kagawa. 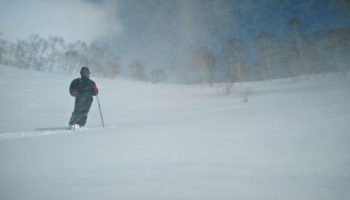 Its most outstanding feature is the massive mountain range that gives Daisetsuzan the nickname the “roof of Hokkaido”. Forget the city’s flashy towers; these solemn alpine giants truly deserve the title of skyscraper. There are plenty of trails to delight any level of hiker. 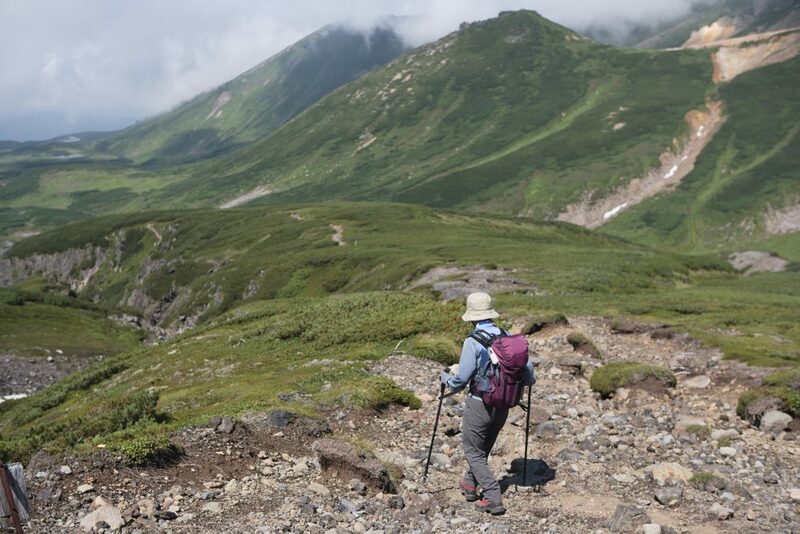 Experienced trekkers can cross the length of the park, from Asahi-dake in the north to Tokachi-dake in the south. This path, known as the Daisetsuzan Grand Traverse, takes 5-7 days to complete, with rest huts and campsites stationed along the way. 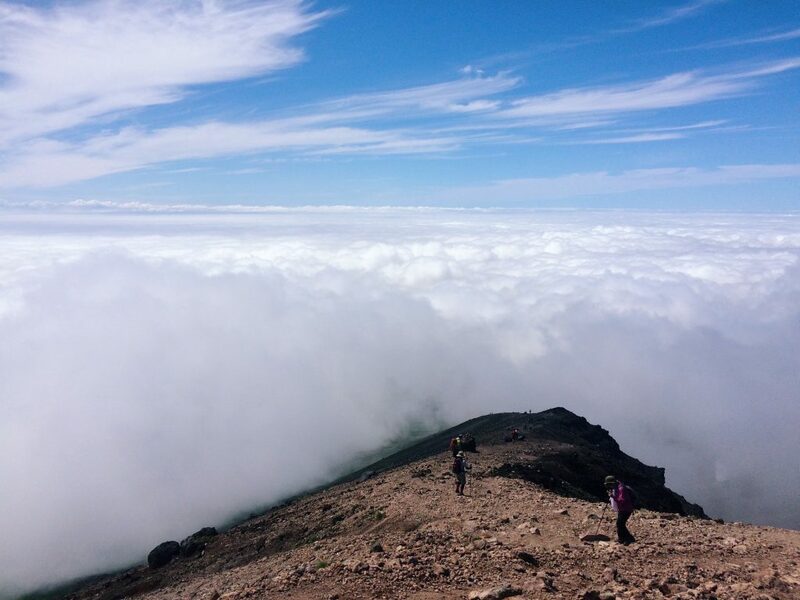 Asahi-dake, Hokkaido’s tallest peak, can be summited by day-trippers in 2 to 3 hours (one way) thanks to a head start from the gondola. Starting out near smoking volcanic craters, the ascent feels like climbing into heaven. There are plenty of trails for different levels. 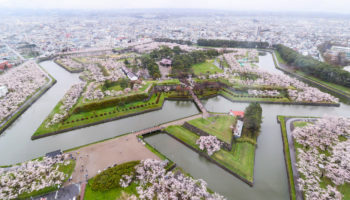 However you choose to explore this primeval kingdom, expect to see some of the most spectacular natural scenery Japan has to offer. Rugged mountain peaks crown wide sloping valleys, burbling rivers, and pristine mirror-like ponds. Wildflowers liven up the dales during the summer months, and Daisetsuzan is the first place in Japan where autumn leaves display their rich multicolored hues each year. You’re sure to spot some locals too: birds and butterflies, squirrels and foxes, and if you’re lucky, limited edition Hokkaido critters like the pika or Ezo deer. Be careful to follow the park’s safety precautions, or you risk running into the brown bears that also call Daisetsuzan home. If you dig nature but prefer comfort over slogging up mountains, the park also happens to be a hot springs paradise, with multiple rustic resorts scattered around the foot of the mountains, not to mention natural pools hidden deep in the hills. Onsen towns like Sounkyo and Asahidake have information centers for the area, so they’re a good place to base yourself for either a day trip or a longer stay. 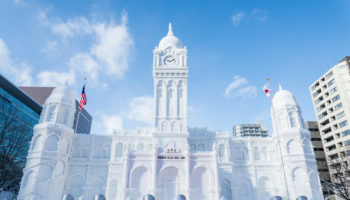 Photo by: Joyce Wan Catch the Sounkyo Ice Waterfall Festival from January to March. 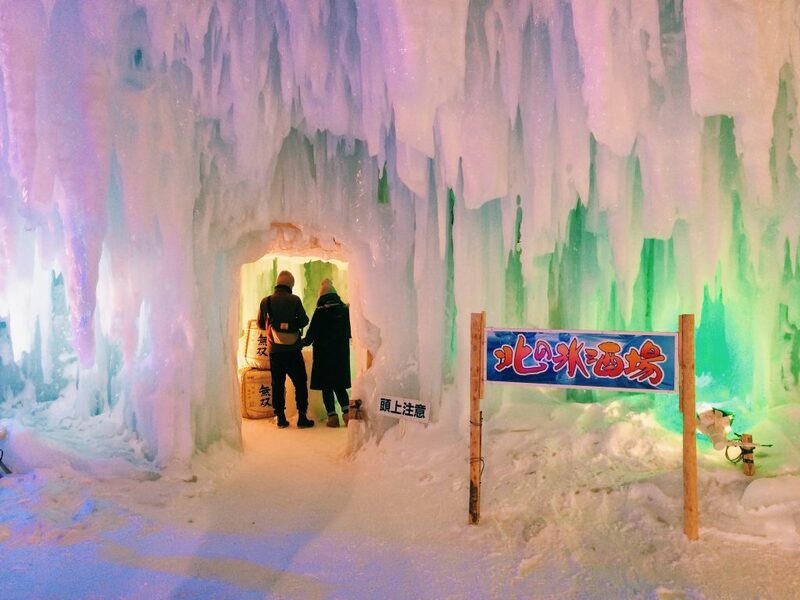 From January to March the town of Sounkyo hosts the incredible Sounkyo Ice Waterfall Festival, featuring an intricate complex of caverns made from ice. The festival venue is actually the scenic riverbed of Ishikari River nearby the popular Sounkyo Onsen Resort. This area is a great winter destination and also has restaurants, cafes and convenience stores along with other natural phenomena. As you might expect, many of the trails are covered in snow for a large part of the year. 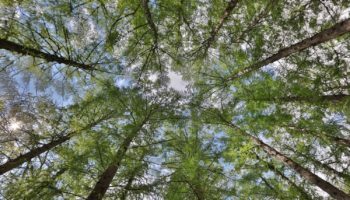 Though the park is officially open for hiking only from the beginning of July to the end of September, well-prepared hikers can choose to trek outside of those months. The onsen towns are open for business year-round. Sounkyo Onsen, the biggest onsen town and base of the Kurodake Ropeway, is a good place to start. The closest JR Station is Kamikawa, from which Sounkyo is a half hour, 840 yen bus ride away. 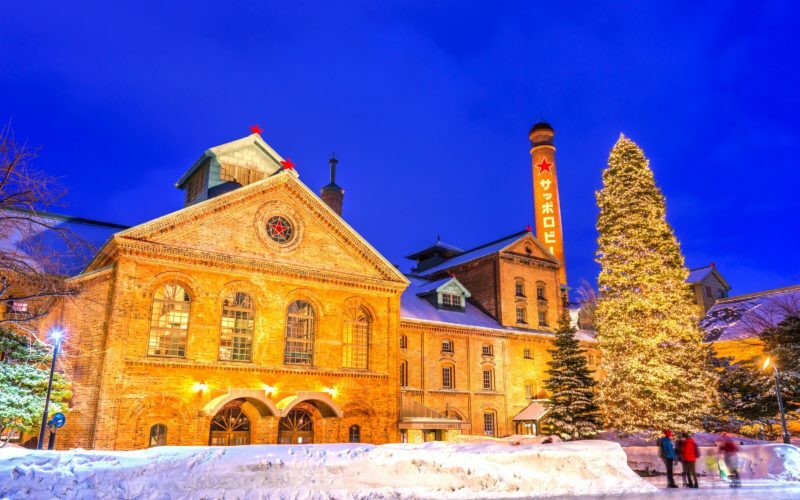 Or take the bus straight from Asahikawa (2 hours, 2100 yen). If you’re primarily interested in taking the Asahidake Ropeway to climb Asahidake, take the bus from Asahikawa to Asahidake Onsen (1 1/2 hours, 1430 yen). Since public transportation in the park is scarce, the best way to explore multiple areas is by renting a car in nearby Asahikawa city.